Like all recent Samsung phones, such as Galaxy S8 and S8+, the galaxy Note 8 is also gorgeous. Actually, even though it does not offer much more than S8 and S8+, it is still an exciting phone at the first impression. 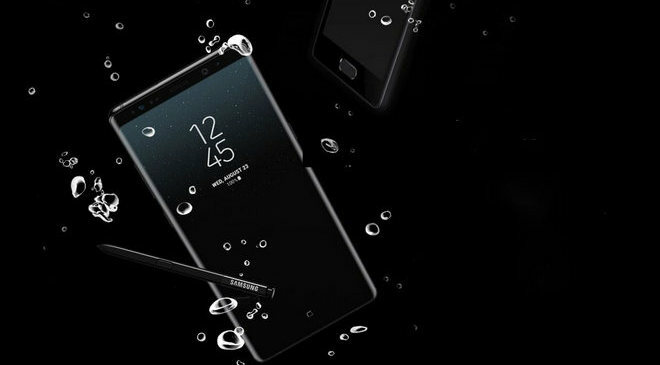 The S-pen and business features would be helpful for someone, and the more straight-edge design with steeper curves will appeal to some people. If you have Samsung Galaxy Note 8 at hand, do not forget to transfer important data like music, messages, call logs, contacts, videos to it from your old phone or backup with Samsung Smart Switch or more other useful data transfers. Music is a large part, so now just look at the best ways to transfer or import iTunes music or playlists to Samsung Galaxy Note 8. 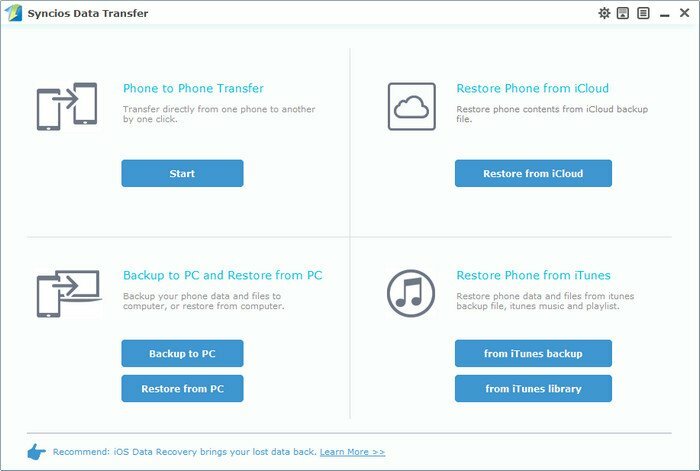 Samsung Data Transfer is not just iTunes playlist transfer, it is also a powerful handy tool to transfer important contents from old phone to Galaxy Note 8, including contacts, messages, call logs, music, photos, videos, apps, notes, ebooks and more, recover iTunes/iCloud backup to iOS or your new Samsung. 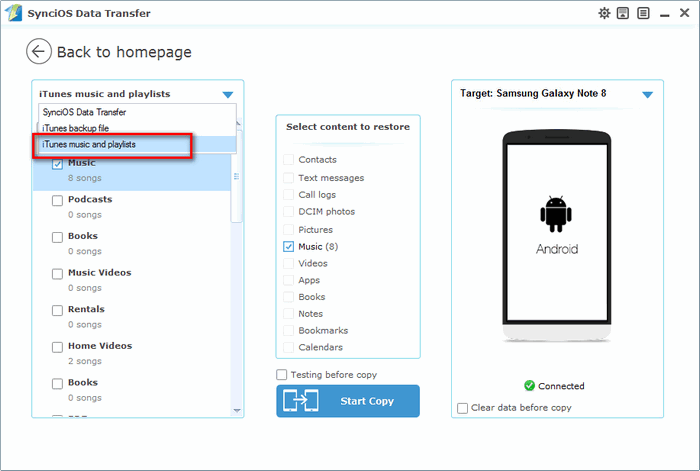 Here just take a look at how to transfer iTunes playlists to Samsung Galaxy Note 8 with Samsung Data Transfer in one-click. Step 1Install Samsung Data Transfer and launch it. Download and install Samsung Data Transfer on PC or Mac, then launch it. Connect Samsung Galaxy Note 8 to computer with USB cable, after Samsung Data Transfer detect the device successfully, four modules on the program homepage will pop up automatically. Click Restore Phone from iTunes button, then iTunes Music to Samsung Transfer window will pop up. Step 2 Select the iTunes Music and Start Transferring. The easiest and most straightforward way is to copy and paste iTunes playlists from iTunes media folder to Samsung Galaxy Note 8. Step 2: Copy iTunes music to Note 8. Connect Samsung Galaxy Note 8 to PC via a USB cable. After successfully connecting device, open Note 8 hard drive. Now, open the iTunes Media Folder to copy and paste playlists to Samsung Galaxy Note 8. 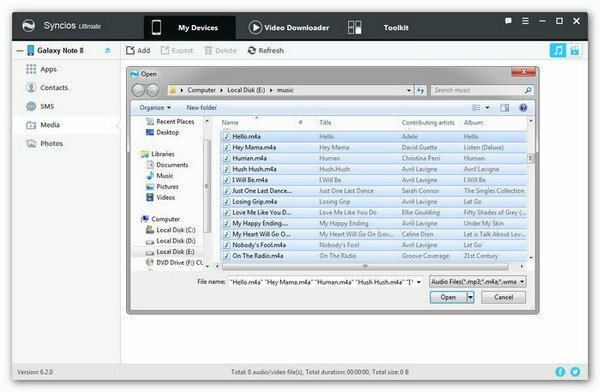 Not all iTunes music or playlists can be transferred to Samsung Galaxy Note 8 or other devices, for example, you probably have another library for iTunes M4P Music or other DRM-ed music you downloaded from Apple Music. And it is also very easy to sync these music files to your Note 8 via the same Apple ID. 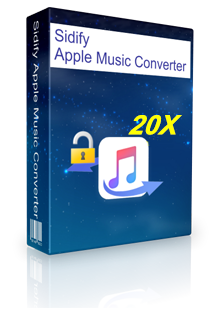 But if you intend to convert iTunes M4P files to MP3, or wanna keep Apple Music songs you downloaded on your computer, Note 8 forever without worrying about canceling the subscription, of you want to transfer Apple Music songs or iTunes M3P music among different devices freely, you can use Sidify Apple Music Converter to remove the DRM protection legally first, and convert them to popular formats like MP3, AAC, WAV, or FLAC. 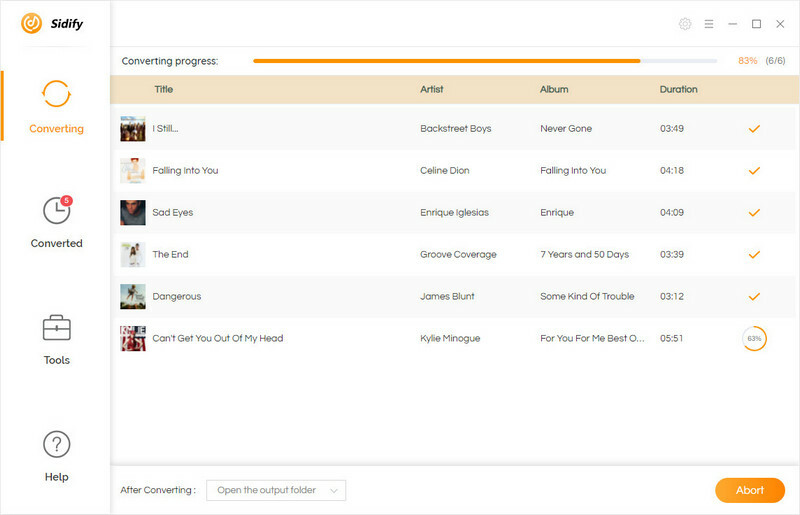 Step 1 Add Apple Music Songs or iTunes M4P Music. 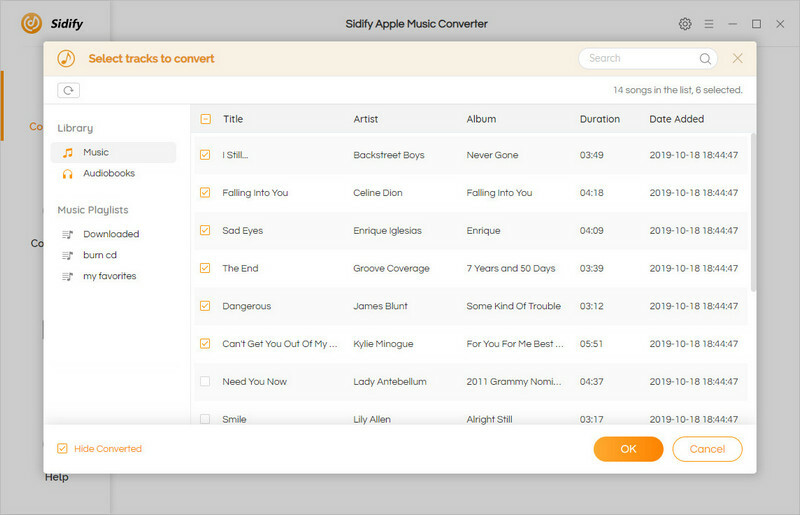 Downloadg and install Sidify Apple Music Converter, Then launch it and click to import Apple Music songs or iTunes M4P music. Here you can use copy and paste (just like we mentioned on Part 2) to transfer the converted Apple Music and iTunes M4P music to Samsung. Or you can use Samsung Music Manager to transfer the converted Apple Music songs and iTunes M4P music to Samsung Galaxy Note 8 in one-click. Click My devices > Media and click Add button to select the music from your computer to copy to Note 8, or you can drag and drop to import music from computer to Note 8. 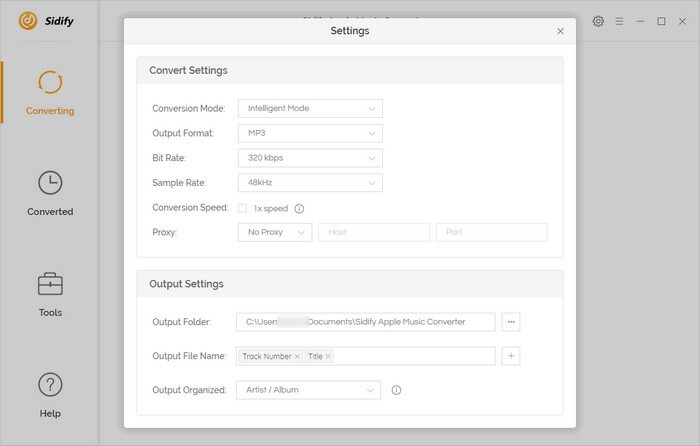 Note: The free trial version of Sidify Apple Music converter enables us to convert the first 3 minutes of each audio for sample testing, you can unlock the limitation by purchasing the full version.